I'm still smitten by this clematis. It's grown quite a bit more this year and is full of purple blooms now. I can hardly believe that at one time I thought clematis were just so-so and I didn't think I needed any in my garden. Hey are those foxglove over there? 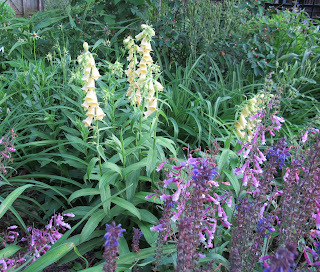 Yes, those are yellow foxglove growing in Plopper's Field. I suspect the garden fairies have been all over them already, leaving spots inside all the flowers. Those garden fairies can be a bit messy, but I like them any..
Whoa. 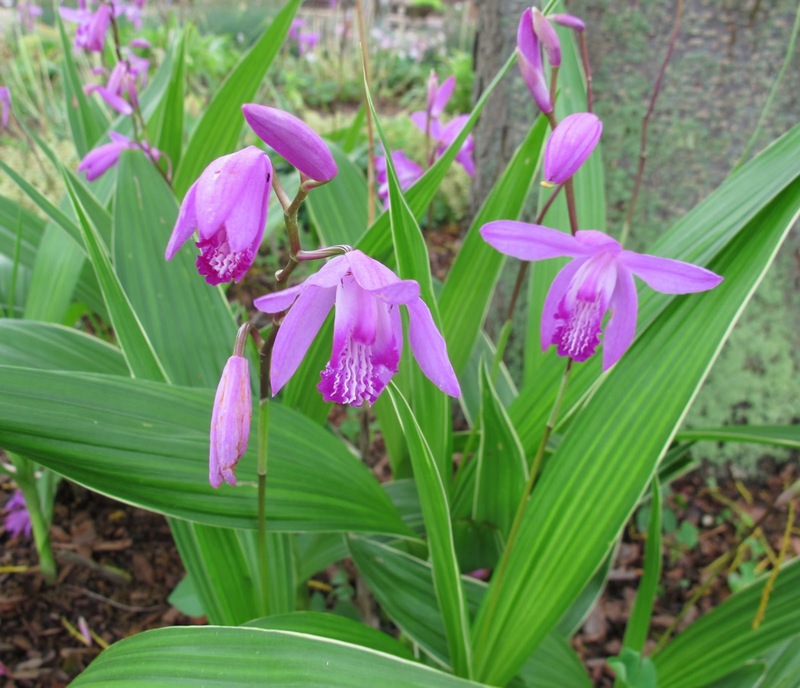 Look at this hardy ground orchids, Bletilla striata. What's that smell? Is that a rose? Why yes, that is a rose. A rose by any name. Really this could be any rose. I got it as a passalong from my Aunt Marjorie. It smells like a rose should smell, seems to be disease resistant and just kind of hangs out in its corner after it is done blooming in June. The whole garden is blooming to distraction these days. I can hardly keep my eyes on one flower before another one catches my fancy and I head over to look at it. I especially like the Clematis. 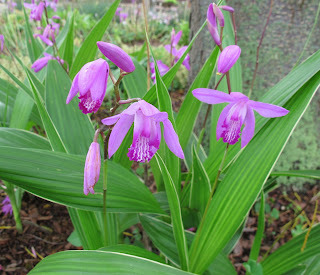 Love all the beautiful blossoms and the Bletilla is quite the charmer. I can see why you're distracted, Carol--lots of lovelies in your garden! 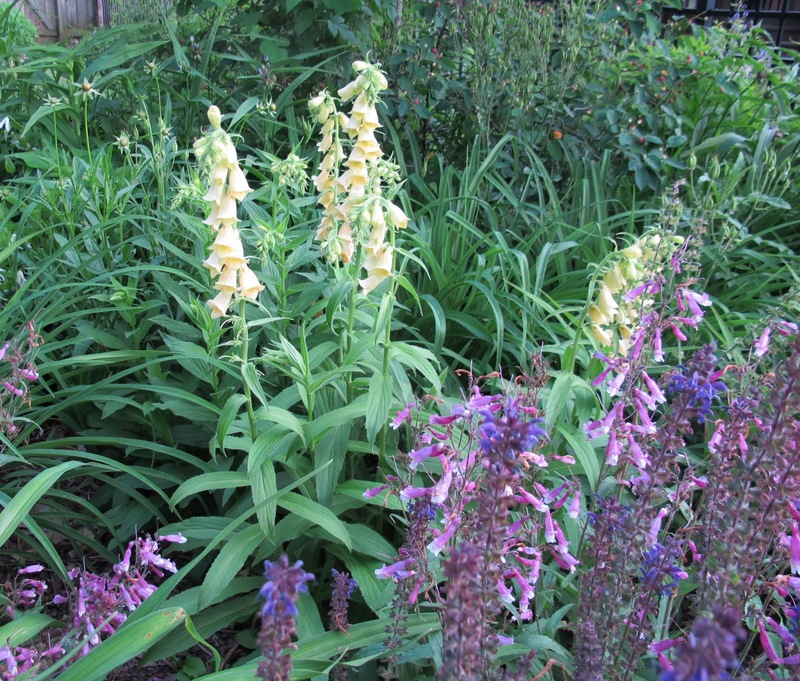 I know the garden fairies must be thrilled with all those foxgloves. Congratulations on your new hoe--with all the rain we've had, I could use a brute like this to help with the weeding, too. What wonderful distractions to have, Carol!!! This is a wonderful, magical time of year. I know your fairies are doing crazy dances inside those folk's gloves! Beautiful clematis. 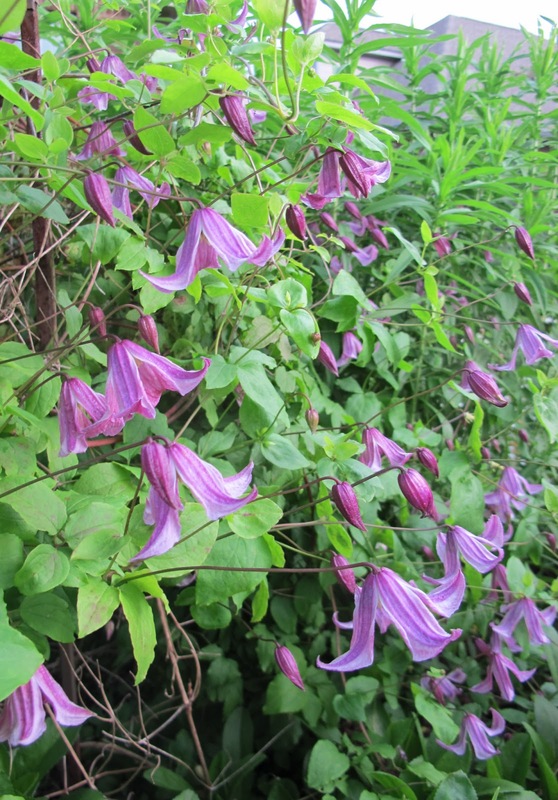 I love clematis , and have several in my garden. It's a very distracting time of year. So glad you have plants that have been in the family. I have that same yellow foxglove, and I'm going to pretend I gave it to you. Once bloomer? 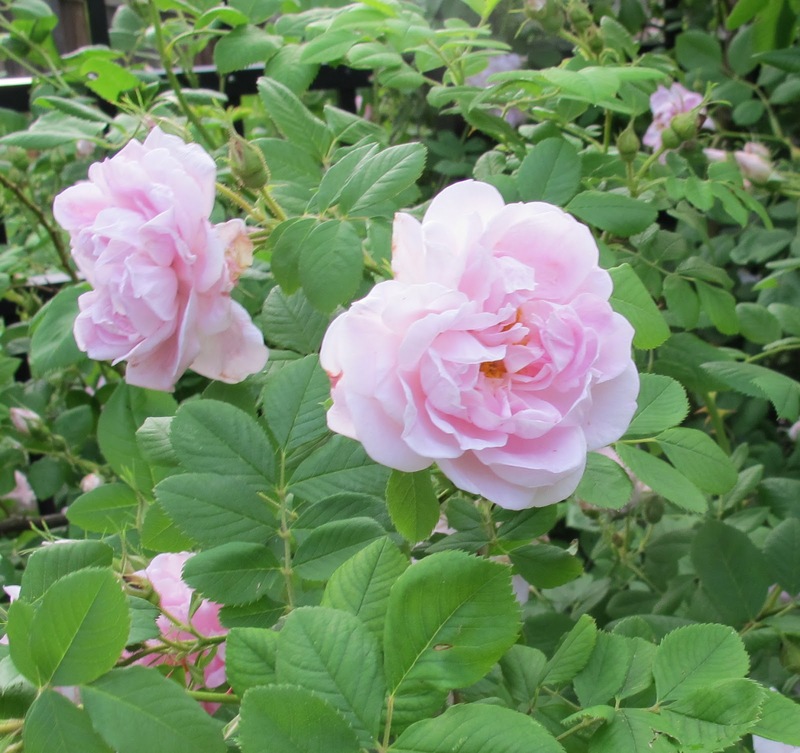 I'm betting Aunt Marjorie's rose is an Alba; a little pink for Maiden's Blush but otheres are possible. Hi Carol....Everything looks so beautiful...love that Clematis. I've said it before...this is a great spring for blooms!! Things are just like this in my garden too. I leapt up when I saw the first pink rugosa rose yesterday - and this morning there were several white rugosas blooming. O frabjous day! Ah, June! So much garden to enjoy... Your blooms are beautiful!